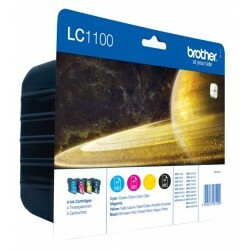 Cartucho de tinta negra (450 páginas) -Marca: Brother -Modelo: LC1100BK Este producto es compatible con las siguientes impresoras: -Brother DCP-385c. -Brother DCP-585CW. 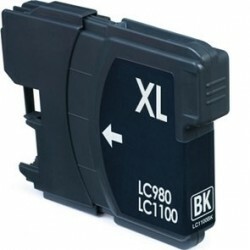 -Brother DCP-6690CW. -Brother MFC-6490CW. -Brother DCP-383C. -Brother DCP-387C. 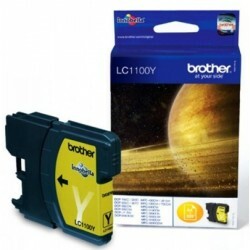 -Brother DCP-J715W. -Brother MFC 790CW. -Brother MFC 795CW. 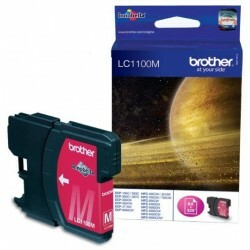 -Brother MFC 5490CN. 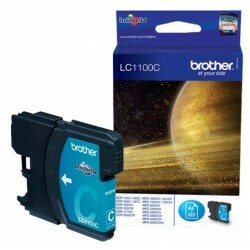 -Brother MFC 5890CN. -Brother MFC 6890CDW. -Brother MFC 490CW. -Brother MFC 990CW. 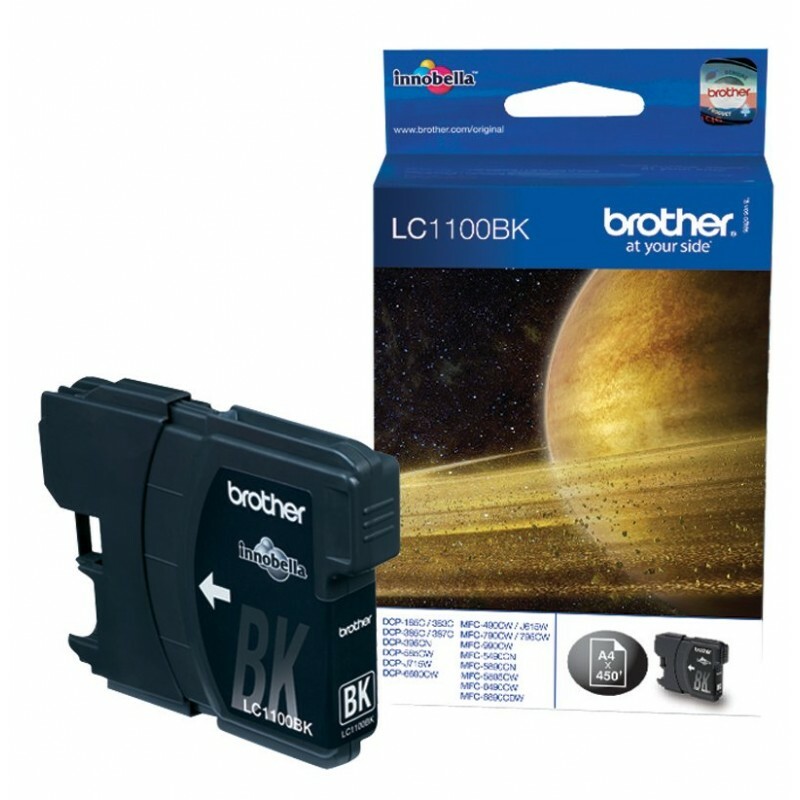 -Brother MFC J615W.